Uber has hit it big in Australia since the first time it arrives in 2014. This ride hailing app gains attention from Australians because the fare is averagely cheaper compared to a conventional taxi. The journey of Uber Australia started in one city, Sydney. But now, it is also available in more than twenty other cities around the country, making it the number one ride sharing app in the country. The appearances of ridesharing sooner or later changed the way people moved around their city. They can get a ride anywhere by just opening the rideshare app installed on their cell phone. Ridesharing platforms like Uber, extend the reach of transportation to the suburbs area or an area where there is no public transportation at all. That’s why more than 60% of Uber’s journey began and ended at the transport hub. In less than a year and a half after arriving, on October 2015, Uber announced that it had given 10 million rides in Australia. This is an indication that Uber can be accepted by Australians, and bear out that the Uber ridesharing platform is a safe and affordable way to move around. 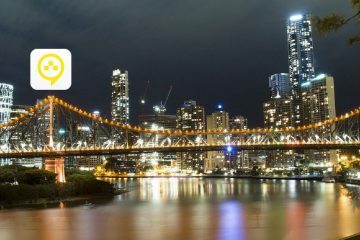 Uber city list in Australia? 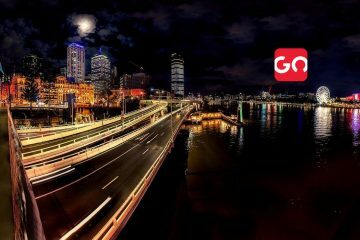 Uber initially choose Sydney as the first city in Australia, and to this day the ride-sharing company has been operating in 38 cities in 7 states and keeps growing. New South Wales Sydney, Byron Bay, Newcastle, Wollongong, Bathurst, Coffs Harbour, Orange, Port Macquarie, Tamworth, and Wagga Wagga. Their basic and most popular vehicle option is UberX, an affordable daily ride. Most in demand option, besides being economical, it’s preferred because it has a large number of driver partners, so you will get a ride with less waiting time. UberXL, affordable ride with SUV/Van for up to 6 passengers or extra luggage. UberASSIST, affordable ride with additional assistance to physically disabled community and seniors. UberSELECT, low-cost yet stylish rides for special occasions. UberBLACK, luxury ride with a high-end black car and professional driver. Black SUV, luxury ride option with a high-end black SUV for up to 6 passengers. UberLUX, ultimate luxurious ride options with a professional driver for special moments. UberTAXI, daily ride with local taxi-cabs. TAXI M40, taxis for riders with TTSS M40 dockets (New South Wales). Not every city in Australia has those complete vehicle options, only in Sydney you can find all the vehicle options. However, basic vehicle options like UberX and UberASSIST can be found in every city. Uber applies different fares in each city or state where it operates. The fares have been adjusted to the economic conditions of the city, local government regulations and also consider the company benefits and driver-partners income. The fare that applies is an upfront price, it can be the same as you see on the phone before confirming the booking of the vehicle. The fare will also be adjusted if the tolls or additional costs differ from what is expected in the app. You need to remember, upfront prices do not include paid waiting time which will apply if you make an additional stop. In addition, upfront prices may not apply if there is a change in destination, changes in route due to closed road or other factors that result in a trip that takes longer than expected.